Set a bowl over an ice bath and set aside. In a medium saucepan over medium heat, combine cream, 1 cup of the cashew milk, cocoa powder and sweetener. Whisk together until well combined and stir until mixture reaches 170F on an instant read thermometer. Whisk egg yolks in a medium bowl. Slowly add 1 cup of the hot cream mixture, whisking continuously to temper the yolks. Slowly add tempered yolks back into the saucepan, whisking continuously. Cook and stir until mixture reaches 175F on an instant read thermometer and is thick enough to coat the back of a spoon. 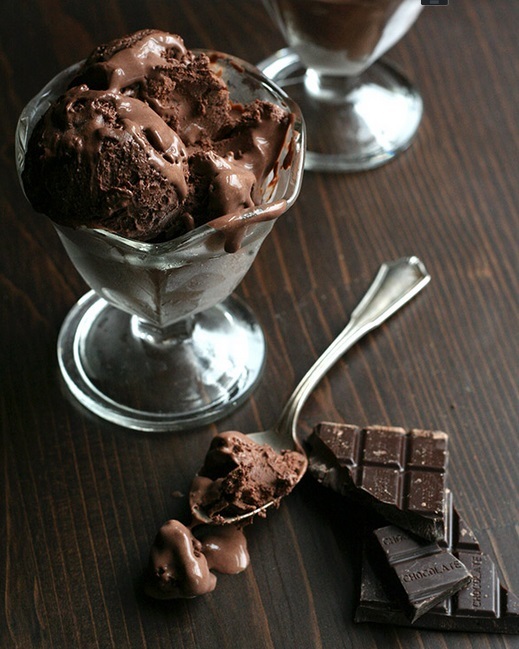 Remove from heat and add chopped chocolate. Let sit 5 minutes and then whisk until smooth. Pour mixture into bowl set over ice bath and let cool 10 minutes. Then wrap tightly in plastic and refrigerate for at least 3 hours. Whisk in additional 1/2 cup cashew milk, vodka, if using, vanilla extract and stevia extract (mixture will be VERY thick until these ingredients are whisked in). Sprinkle surface with xanthan gum, if using, and whisk vigorously to combine. 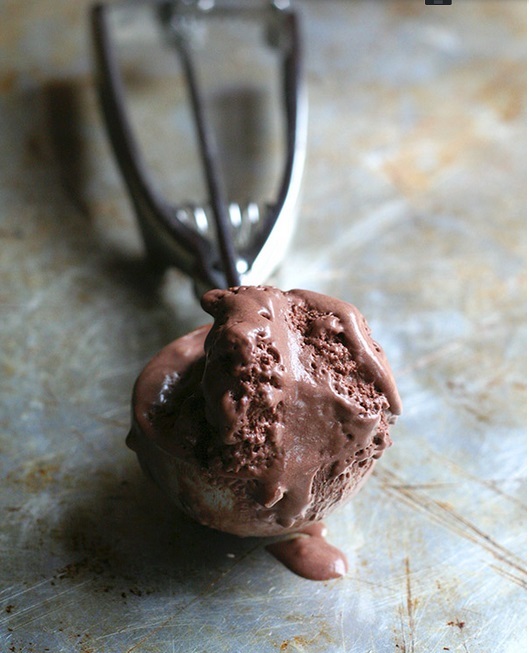 Pour mixture into the canister of an ice cream maker and churn according to manufacturer’s directions. Once churned, you can serve immediately or you can pack in an air tight container and freeze until a little firmer (1 to 2 hours). Notes: Serves 8. Each serving has 9.09 g of carbs and 3.3 g of fiber. 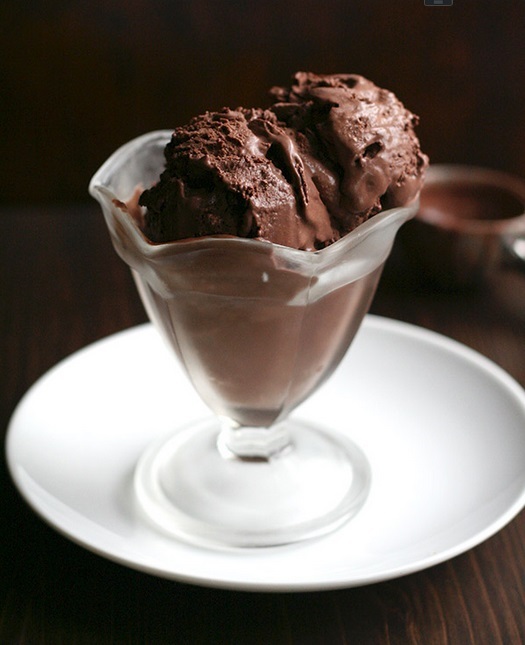 Total NET CARBS = 5.79 g.
WORLD CHOCOLATE ICE CREAM DAY!